Photo by St Louis Post-Dispatch. Three people are dead and four were injured after a boiler exploded at a box company in St. Louis, Missouri. It happened shortly before 8 a.m. this Monday morning. According to St. Louis City Fire Chief Dennis Jenkerson, a van-sized piece of the boiler from the Loy-Lange Box Company went airborne and crashed through the roof of Faultless Healthcare Linen. There are three confirmed fatalities. Two people are in critical condition and two others are seriously injured. Jenkerson says it’s unclear if anyone was working on the boiler at the time. 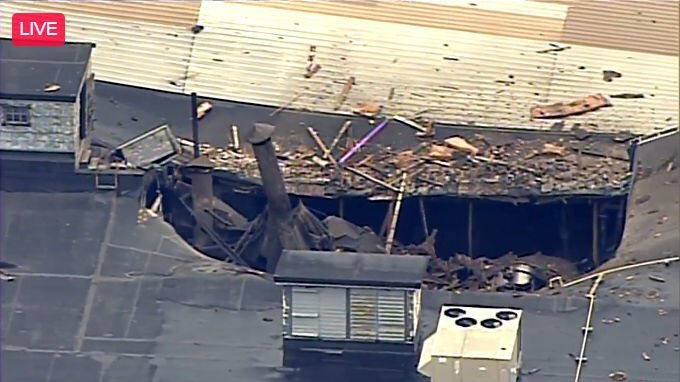 The St. Louis Fire Department says the explosion is affecting three buildings with debris. The Collapse Rescue Task Force along with the St. Louis Metropolitan Police Department are investigating.